This is so far one of my favourite designs for a poster for Star Wars: The Last Jedi. Heavily influenced by the first promotional artworks for Star Wars back in 1976 its a nice nod to Star Wars history. Created by Los Angeles based graphic designer Midnight Marauder & @antoniostella. "The Star Wars" was the film's first working title. The triangular image of a character who was to become Luke armed with a lightsaber was created by Ralph McQuarrie which began shooting in early 1976. There are so many teaser trailers out now that I figured I'd post links to them. These all include so much new content and some nice behind the scenes material. I've sourced them from several Youtube feeds. I remember as a kid watching Star Trek on television, I knew that if one day someone made a Star Trek communicator, I would have to get one. When I first saw this device posted from The Wand Company that this would be something to watch. Sure enough, what they produced was nothing short of spectacular. 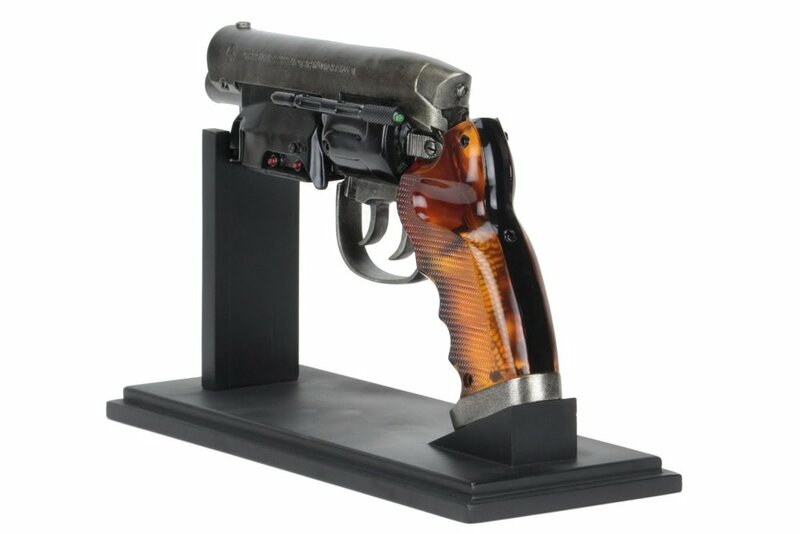 The communicator is a museum quality replica of one of the original props from Star Trek. It is made of a combination of pressed metal, aluminum, and beautifully textured plastic, as well beautifully and authentically detailed. When you flick your wrist, the grill flips opens with the actual sound effects from the show, and the speaker and functioning transceiver leave you in no doubt about the fact it actually works. 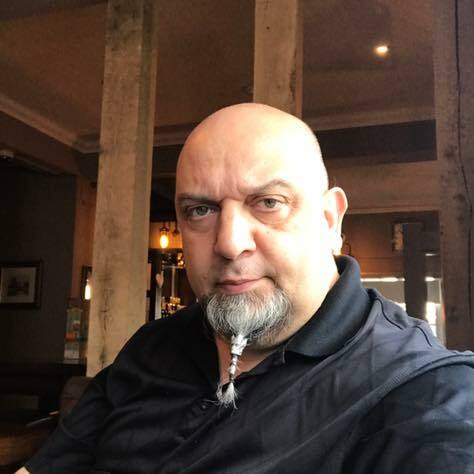 Yes, I did say "works" ... this is no mere prop, it is a Bluetooth communications device which you can use to answer calls on your phone, play music and it even comes with a library of authentic sounds and messages from the original series. The Communicator feels great, sits in your hand the way you expect it to and you find yourself smiling like the geek you are every time you flick your wrist and hear it beep just like in the series. It's even better when you answer a call on the unit, and yes, it's truly geeky, but then, even your mates are impressed by the beauty of this device. A must have addition to any trekkies collection. Product designer Oscar Lhermitte with design studio Kudu are collaborating on launching the first topographically accurate lunar globe on kickstarter. The campaign which launched in April 2016 has been very successful and saw them raising nearly 6 times what they were asking for. The project uses the latest data from nasa’s lunar reconnaissance orbiter combined with the skills and advanced capabilities of its creators in mold making and engineering to create truly beautiful and accurate scale models of our satellite. The Globes come in two sizes a 1/20 million and 1/11 million replicas of the moon with surface features in every detail. 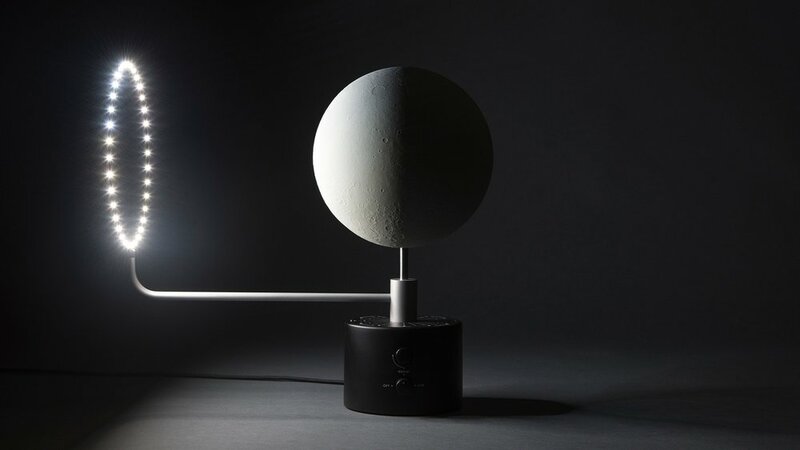 Available with an optional a ring of LEDs which revolve around the globe, constantly illuminating the correct face of the moon and recreating the lunar phases as seen from Earth. ‘moon’ has three modes of operation: manual – allowing you to rotate the sun yourself, setting the lunar phase that you would like to see. Demo – letting you observe a synodic month in just 30 seconds. and Live – which synchronises itself with the current position of the real moon. All Moons are manufactured in the studio in London and are individually numbered. Oscar Lhermitte is a multi-disciplinary designer who sees diversity as a driving force. His body of work ranges from industrial design to photography, video, exhibition curation, set design, art direction, and consulting. Kudu (Alex du Preez and Peter Krige) focuses on technology led projects and specialises in the development of new electronic products. Their clients include Map Project Office, Hackaball, Beeline and BentoBio Works.